In our perpetual quest for scienctific explanations of Conservative psychological behavior, we're reposting Chauncy DeVega's article at Alternet.org, "New Research Details the Strong Relationship Between White Racism and Gun Ownership." 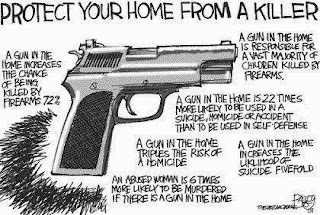 "New research from Kerry O’Brien, Walter Forrest, Dermot Lynott, and Michael Daly in the journal PLS One suggests that there is a relationship between a person's levels of 'symbolic racism', gun ownership, and support for concealed carry laws. "Opposition to gun control in US whites is somewhat paradoxical given the statistics on gun-related deaths, and such opposition may be undermining the public health of all US citizens. This study examined for the first time whether racism is related to gun ownership and the opposition to gun control in US whites. The results support the hypothesis by showing that greater symbolic racism is related to increased odds of having a gun in the home and greater opposition to gun control, after accounting for all other explanatory variables. 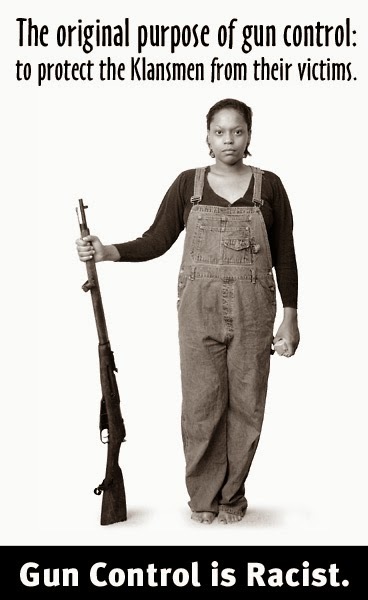 "It is particularly noteworthy that the relationship between symbolic racism and the gun-related outcomes was maintained in the presence of conservative ideologies, political affiliation, opposition to government control, and being from a southern state, which are otherwise strong predictors of gun ownership and opposition to gun reform. 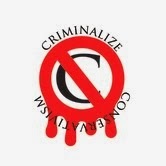 "These findings will be misread and misunderstood. This results because many people do not understand how social scientists construct knowledge and make truth-claims. This outcome is also a function of how political opinion has become conflated with empirical facts and reality in the 24/7 news cycle. "Kerry O’Brien, Walter Forrest, Dermot Lynott, and Michael Daly are not suggesting that beliefs about guns are caused by (modern) white racism. 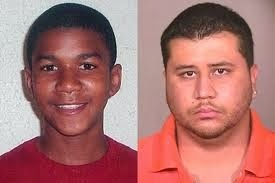 Likewise, they are not arguing that having a gun necessarily makes one more likely to be a racist. 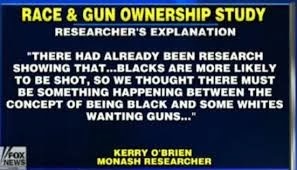 O'Brien and company are not claiming that all conservatives are racists or bigots; nor, does their research indicated that all gun owners are racists. "'Racism, Gun Ownership and Gun Control: Biased Attitudes in US Whites May Influence Policy Decisions' narrowly focuses on the relationships between attitudes, values, beliefs, and yes, in some cases, behavior. "This is sound social science because the authors takes a well-documented and researched phenomenon, 'symbolic racism', and relate it to an important issue of public concern. Surprising and counter-intuitive research findings are an essential part of creating knowledge and shifting paradigms forward. Research that further explores and enriches what we should already know--symbolic racism emphasizes a narrative of black criminality and white victimhood; thus, attitudes about guns should be central to that story--is invaluable because of how it buttresses existing knowledge while also suggesting areas for further investigation. "Their research is especially powerful because it highlights how white racial attitudes are not separate and apart from politics. In a post civil rights era when racism and conservatism are very much the same thing, these relationships and dynamics are going to be further exaggerated and out-sized. "What researchers call the 'new' and 'old fashioned' types of racism, help to structure an individual's more general political worldview. Moreover, racial attitudes are so powerful that they influence beliefs about ostensibly 'race neutral' policy matters such as foreign policy, government spending, and taxes. 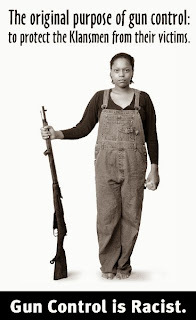 "As I discussed with professors Richard Slotkin and Ann Little, attitudes about guns and gun ownership are also central to America's history of racial Apartheid and formal White Supremacy. "The suggestion that white people's levels of racial resentment may be related to gun ownership also arouses white grievance mongers and white victimologists. "The following point is a subtle, but very important one. "As demonstrated by their positions on global warming, tax policy, the economy, and other matters, because the Tea Party GOP is possessed by a 'hallucinatory ideology', they immediately reject any information that does not confirm their own twisted view of political and social reality. "In all, empirical claims about guns and race are a mix of highly combustible elements in contemporary American politics. "Racism remains a social force that over-determines the life chances, negatively, for people of color in the United States. Gun violence is a public health crisis. Solving these problems will require an embrace of the sociological imagination, and all of the insight and richness it can provide. Unfortunately, the public discourse in the United States is highly polarized, anti-intellectual, betrayed by a failed 4th Estate, and where conservatives hide behind twin ramparts and redoubts of cultivated disinformation and misinformation. "'Racism, Gun Ownership and Gun Control: Biased Attitudes in US Whites May Influence Policy Decisions' demonstrates how white racism and attitudes about guns are tied together. We have made great progress in fighting the former. Yet, we are unable to stop sacrificing our children to the gun gods, or putting an end to the blood ritual that is gun violence. America defeated Jim and Jane Crow. Yet, the United States cannot find the national will to beat back the power of the National Rifle Association. This failure of will is a national tragedy." For any Sheeplet that has made it down this far, the operative phrase in the piece is, "... that greater symbolic racism is related to increased odds of having a gun in the home and greater opposition to gun control, after accounting for all other explanatory variables." 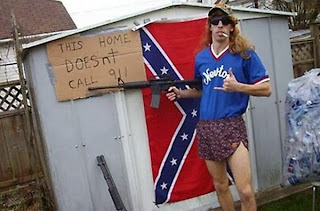 And while the typical Sheeplet uses the word "typical" to the point of banality when talking online about non-Conservatives, the following sentence may boggle their poor little minds, and is typical of their problems of their perception of the world and themselves - they're pretty dumb: "(The researchers)...are not suggesting that beliefs about guns are caused by (modern) white racism. Likewise, they are not arguing that having a gun necessarily makes one more likely to be a racist. O'Brien and company are not claiming that all conservatives are racists or bigots; nor, does their research indicated that all gun owners are racists." The comment that "...it could be argued that there are other plausible but unmeasured variables that could explain the pattern of relationships we find here," should clear things up for the Sheeplet: it is somewhat akin to the old saw, "Not all Conservatives are racist, but nearly all racists are Conservative." picking the best ones and winding up by eating everything."